While most of us think about our homes and our cars when we hear the words “green living” we can also do our part with our children and their school day. Green living really means thinking about the environment in your daily life and finding ways to reduce your carbon footprint and your reliance on gas-guzzling, energy-guzzling items. Here are six simple ways that you can send your children off to school with a greater sense of environmental awareness and with an understanding that they, too, can work to reduce their environmental impact on a daily basis. First of all, as the kids get ready to head back to their classes, they are probably expecting new clothes, new classroom furniture and new play equipment in the school. You can help to save money and the environment by doing a clothing swap with friends or by visiting second hand stores. If you absolutely must buy new clothes, check out the stores that have natural fibers and that care about sustainability and the environment. 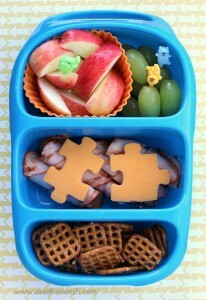 Give your kids reusable lunch boxes and reusable containers for their food. If you think about how many disposable bags are used each day in schools across America, it’s no wonder that our landfills are filled to capacity. Think about how your kid gets to school and how much gas this trip costs. Can you form a carpool to get your kids there? Is the school close enough that you can walk your child there or ride bikes? Use gently used school supplies. Look around the house before you go out to buy those shiny new supplies – you just might have most of the items you need already in the house. Send your kid with a reusable water bottle. They get thirsty during the day and should certainly have something to drink – but they don’t need a new container every day.